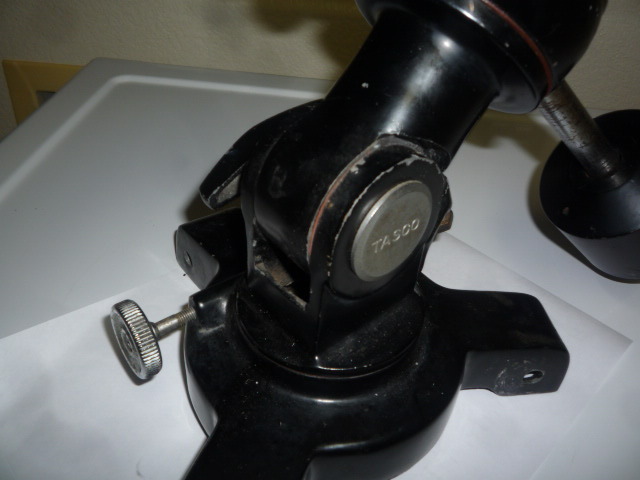 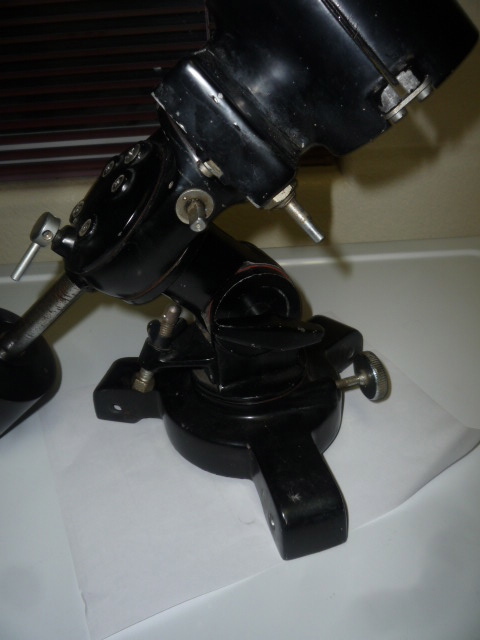 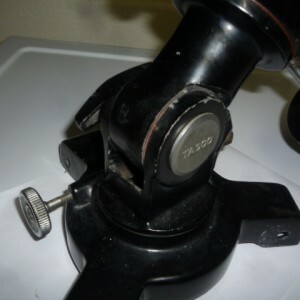 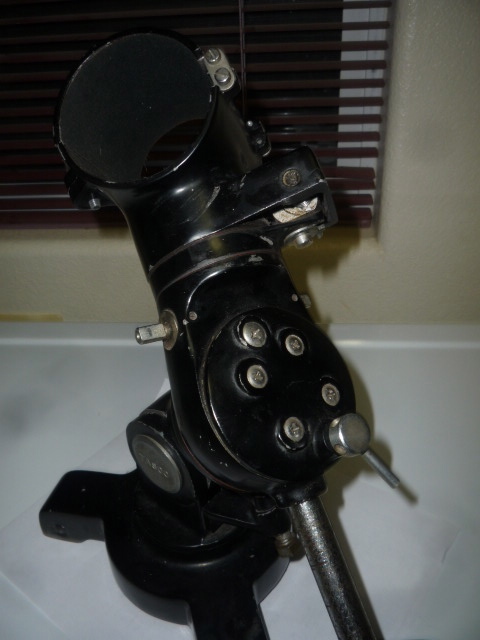 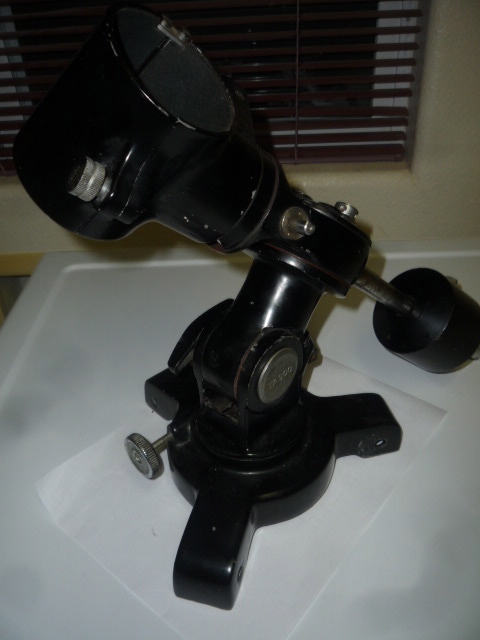 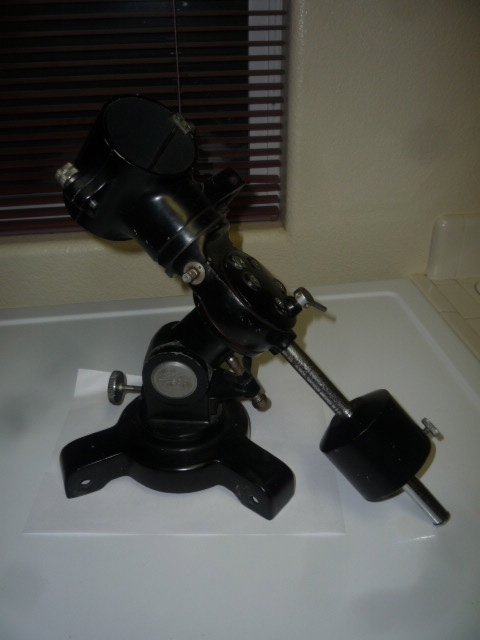 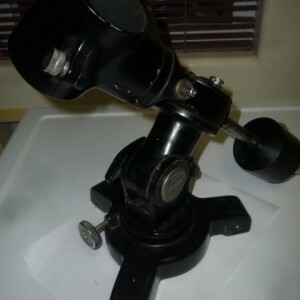 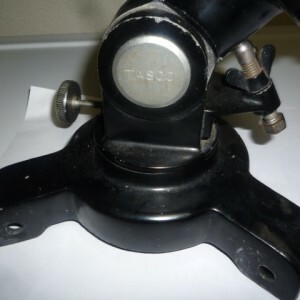 Vintage Tasco 76.2mm Refractor Equatorial Mount Head Sold! 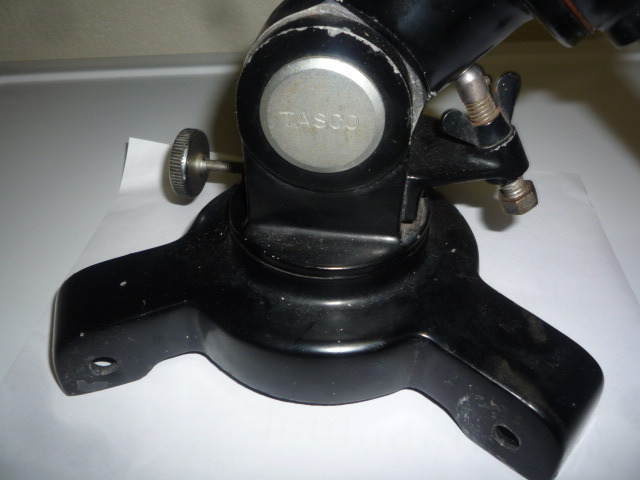 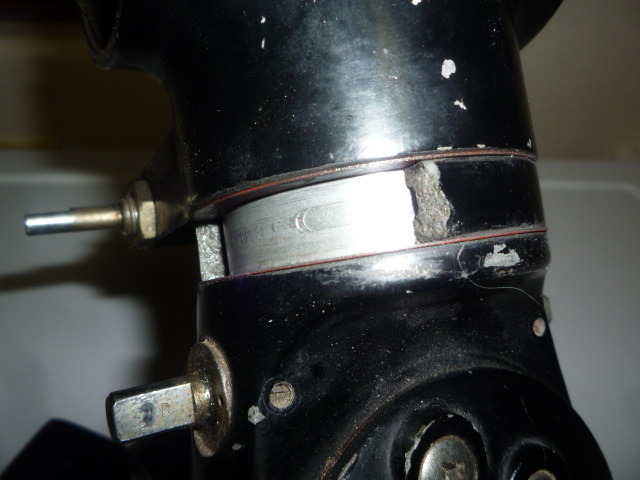 This is an early vintage Tasco equatorial mount head from the tasco 76.2mm refractor telescope. 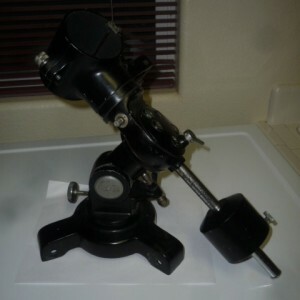 Large solid eq mount made by Royal Optics of Japan. 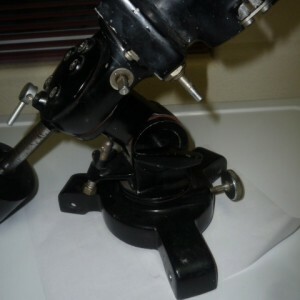 Includes the tripod leg mounting triangle. 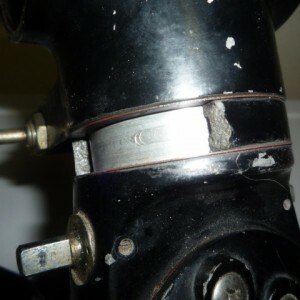 The mount has one large flaw a part of one casting has a piece missing. 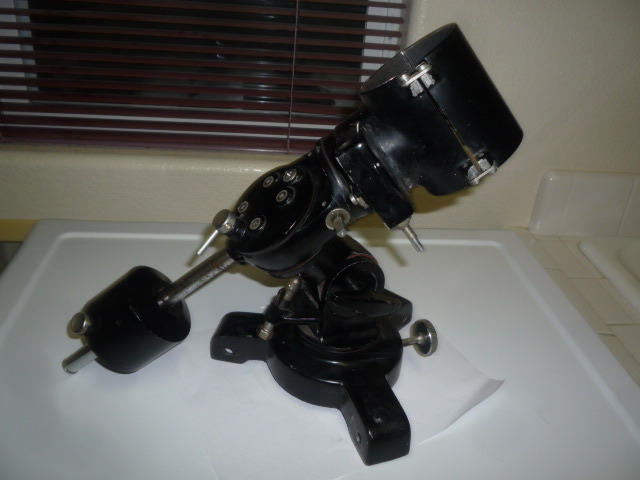 This is well shown in the last photo. 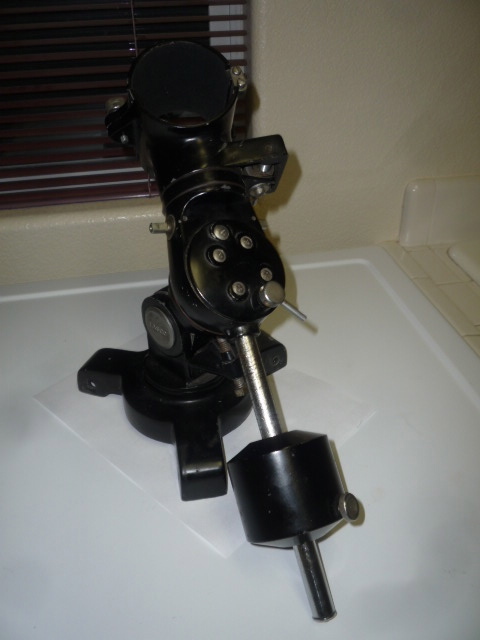 Does not affect the operation however. 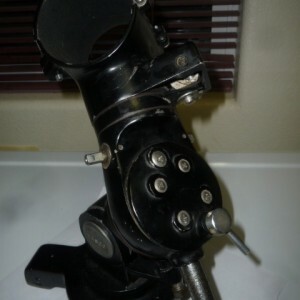 Still a nice piece of early Japanese telescope equipment and very hard to find. 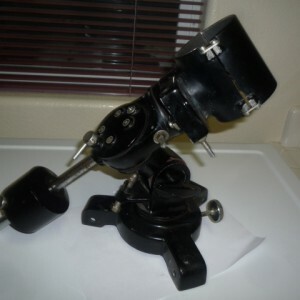 Price is $95.00 with free shipping in the USA.